In recent years, the synthetic cannabinoid ‘Spice’ has received a lot of attention as a particularly prominent street drug used within Manchester’s homeless communities. But beyond the horrifying photos capturing vulnerable members of our society collapsed on the street and the dehumanising headlines labelling users as ‘zombies’, very little of the media is actually informing us about the work that is tackling the issue. 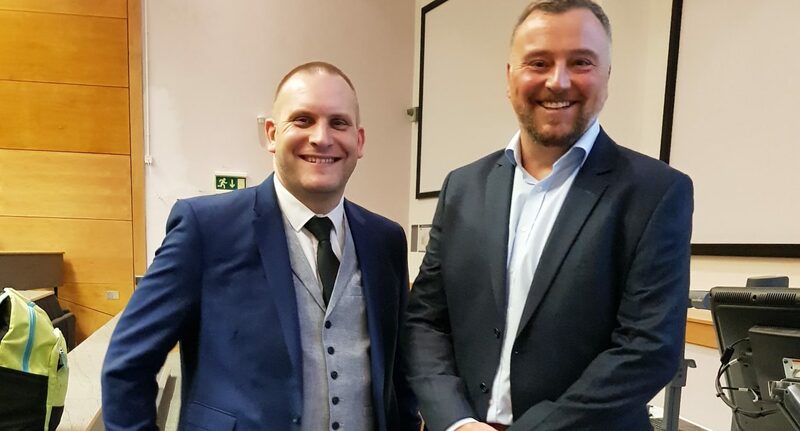 In October I attended a talk led by PC Andy Costello, a Greater Manchester Police officer, and Dr Oliver Sutcliffe, a psychopharmaceutical chemist at Manchester Metropolitan University, to hear about their novel strategy for reducing the harm caused by street drugs in Manchester. Spice is not actually a single drug but a range of laboratory-made chemicals that mimic the effect of the psychoactive compound tetrahydrocannabinol (THC) found in cannabis. Both THC and the chemicals in Spice bind to cannabinoid receptors in the brain, but Spice can be up to 800 times more potent, leading to very severe and long-term mental and physical side effects. PC Costello began looking at the Spice problem in Manchester in 2013 and said “it was the biggest issue I’ve had to face in my working career. It certainly has the biggest impact on drug users and people on the street I’ve seen,” and recounted meeting users ranging from 12 to 70 years old. Spice was a ‘legal high’ and sold in head shops before it was made illegal on the 26th of May 2016. The new law saw the closure of these shops and put a stop to ‘Spice tourists’ coming to Manchester as recreational users. However it also led to the establishment of street supply and entrenched itself in rough sleeping and young offending populations who often use drugs as a coping mechanism. Although several police operations have led to drug seizures, the huge supply and demand of synthetic cannabinoids coupled with the fact that police budgets have been squeezed, means that the problem doesn’t show any sign of relenting. And it is not just a problem seen on the street — it is estimated that 90% of the male prison population use synthetic cannabinoids nationwide. Spice solution is embedded into paper and enters prisons in letters. With a credit card sized piece of paper selling for upwards of £200 and numerous prisons in the North-West estimating that 200-300 letters containing A4 sheets are smuggled in on a daily basis, users will most likely accumulate huge debts to dealers and gangs which jeopardises their rehabilitation. Recognition of this growing problem led to Costello partnering up with Dr Oliver Sutcliffe, the director of MANchester DRug Analysis and Knowledge Exchange (MANDRAKE). Based at Manchester Metropolitan University, MANDRAKE is the first and only permanent city-centre testing facility in the UK, and works in partnership with stakeholders to facilitate cost-effective drug analysis for harm reduction and intelligence. Their most recent project has been working on the chemical analysis of Spice from homeless communities and developing techniques to detect Spice solutions entering prisons. If an individual is hospitalised due to a harmful street drug sample, MANDRAKE can analyse the chemicals in as little as 60 minutes and can then relay the information to emergency services so that effective treatment can be given. This also ensures that front-line responders can be warned about the presence of harmful samples, which can help to safeguard communities. As well as scientists working on this project, MANDRAKE have also trained members of law enforcement, security and prison staff to use the machines and analyse the data, making it a unique collaboration. The information they collect can then be shared to monitor local, national and international drug trends within vulnerable populations and also serves to inform the public. A common misconception is that Spice is a problem exclusively in Manchester, when in fact many other counties ranging from Lincolnshire to Cambridge are reporting similar issues, as well as countries such as the USA, Canada and Australia. Manchester is setting a leading example for others through the MANDRAKE safeguarding initiative. Dr Sutcliffe said: “This is not a Manchester centric issue, but it is a Manchester-led response”.